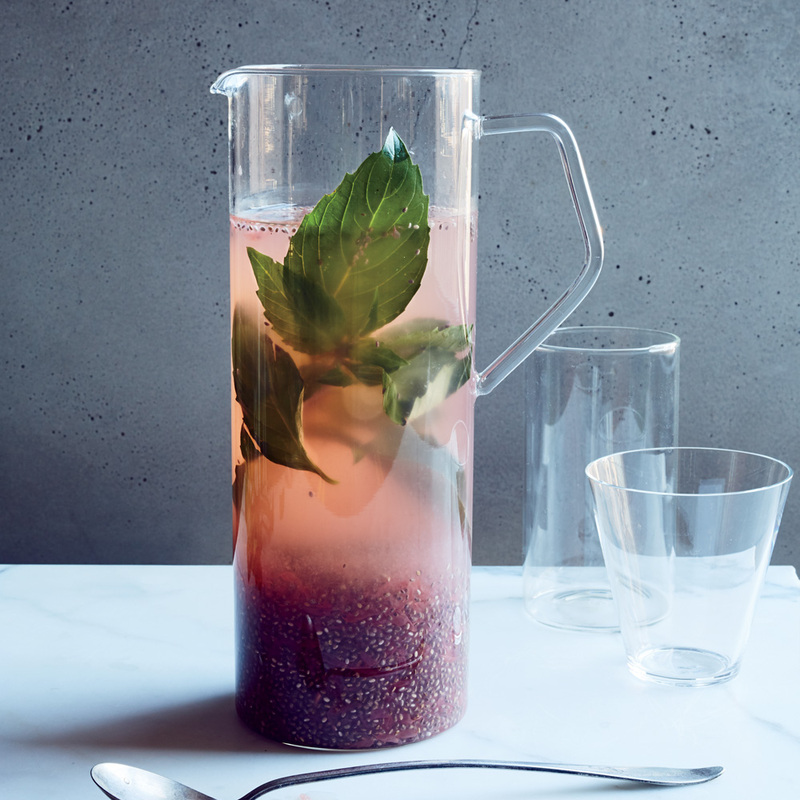 In a large pitcher, combine the grapefruit juice with the maple syrup, chia seeds, Thai basil and 4 cups of water and stir well. Cover and refrigerate for at least 2 hours. Stir the tonic before serving.